At first glance, this month’s theme might scream mid-summer rather than early Spring, but this warm-weather inspired board is just right for April. 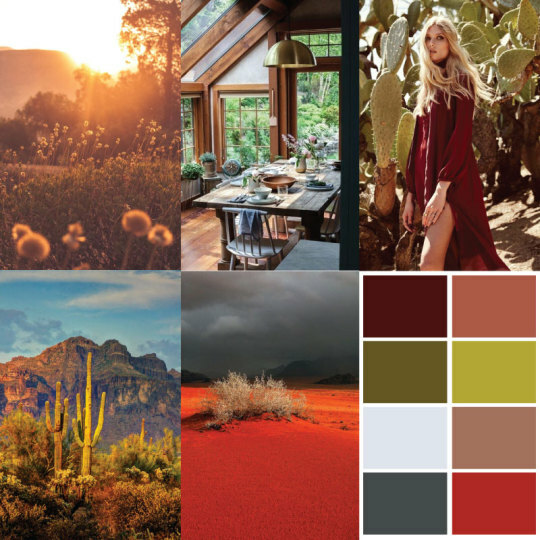 This Southwest theme is called Golden Hour, named for the last hour before sunset where the world is awash in a golden glow. The board reminds us of early dawn sunrises, long drives, tent camping, bonfires, and pulling on our favorite knits for one more wear before it’s just too warm. If you live somewhere that won’t see hot days for awhile yet, let the warm glow of this month’s yarns carry you through: Spring is coming! Reveals start tomorrow, so stay tuned!